Fiji’s Public Accounts Committee (PAC) has been dissolved by the illegal AG after hard questions were asked by PAC members. 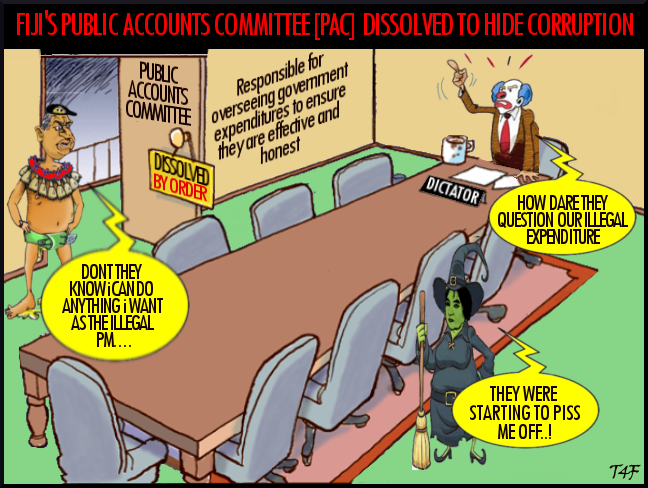 The Public Accounts Committee (PAC), which is the Committee of Public Accounts, is a select committee responsible for overseeing government expenditures to ensure they are effective and honest. It plays a crucial role in ensuring transparency and accountability in all government financial operations. PAC examines the Accounts showing the appropriation of sums granted by Parliament to meet the Public Expenditure.